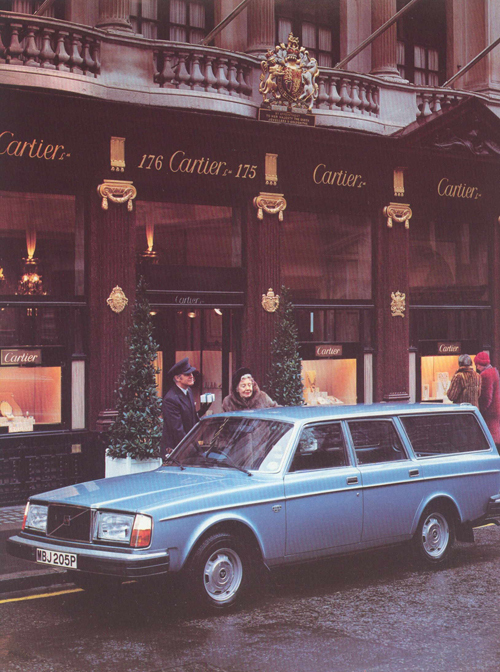 1976 – Volvo 265 GL at Cartier on 175-177 New Bond St in Mayfair, London, UK. 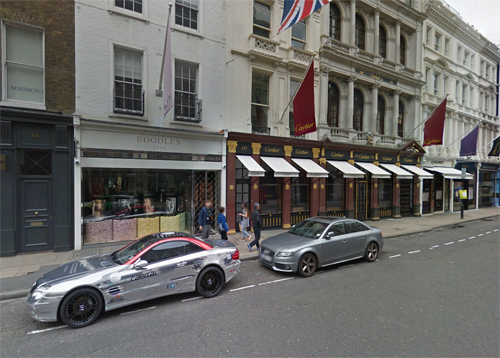 New Bondstreet is a street in the Mayfair area in London. The street was built on fields surrounding Clarendon House on Piccadilly, which were developed by Sir Thomas Bond. It was built up in the 1720s, and by the end of the 18th century was a popular place for the upper-class residents of Mayfair to socialise. Prestigious and expensive shops were established along the street, but it declined as a centre of social activity in the 19th century, although it held its reputation as a fashionable place for retail, and is home to the auction houses Sotheby’s and Bonhams (formerly Phillips) and the department stores Fenwick and Tiffany’s. It is one of the most expensive and sought after strips of real estate in Europe. 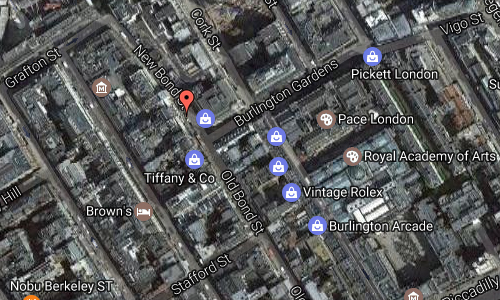 Bond Street has been mentioned in several works of literature, including Jane Austen’s novel Sense and Sensibility and Virginia Woolf’s 1925 novel Mrs Dalloway. The plot of the 1948 film Bond Street is based on items purchased from shops in the street. 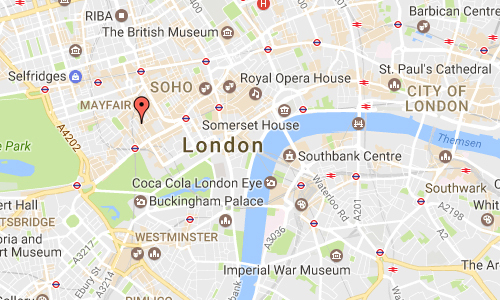 In Suzanna Clarke’s novel Jonathan Strange & Mr. Norrell, Bond Street is described as having “the most fashionable shops in all the kingdom”. More information at en.wikipedia.org and www.bondstreet.co.uk.